Doraemon must be one of the most popular cat in Japan. He is a robot traveled from our future. Doraemon and his special gadgets from his “4th dimensional pocket” have saved Nobi Nobita and company and have always made us feel “if Doraemon is here with me…” every time we face a difficulty! Every Japanese child has grown up with Doraemon since ’70s but Doraemon is missed after we grow up. 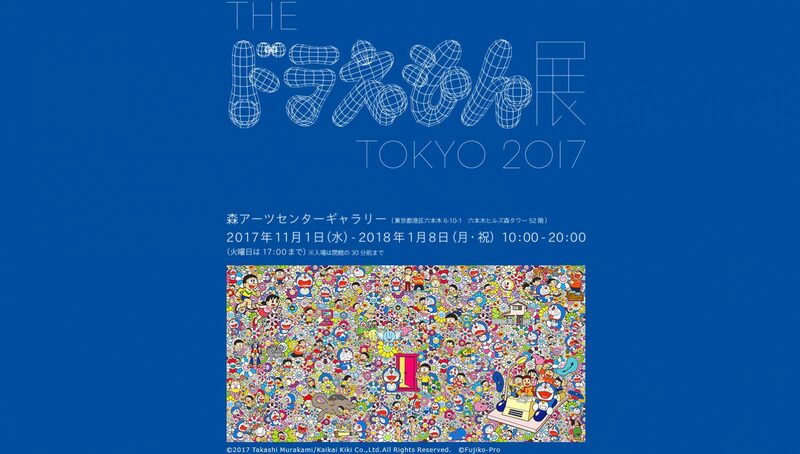 A number of famous modern artists therefore gathered for an act to “Create Your Own Original Doraemon” and will hold a unique exhibition at Roppongi Hills this autumn. 10:00 – 20:00 (Until 17:00 on Tuesdays) *Last admission is 30 minutes before closing. Ryu Murakami appears on TV ads. This entry was posted in About Japan, To Sightsee and tagged About Japan, Doraemon, Entertainment, Tokyo. Do you miss Takoyaki? You can make it at home!